Australia has witnessed a massive migration and an influx of skilled labor since the end of the Second World War. And Australia has been more than accommodating towards the skilled immigration and aids the entire immigration process through its multi faceted visa grant program. More and more companies and organizations, small, medium and giants alike, are relying on the skills and expertise of workers from overseas and are sponsoring or are inclined towards sponsoring an immigrant worker on Temporary skilled Visa (subclass 457). Dealing with employment law, employment issues like hiring, managing and firing employees often turn out to be one most challenging aspects of running an organization. And when the employee is from overseas and is working with skilled Visa, things become all the more complicated, convoluted and can cause major headaches for the HR department. There are many law firms in Melbourne who are well versed in immigration laws and can assist you in immigration. In order to ease the complications and make matters less convoluted, check out the must DO’s regarding hiring employees on visas. Know the steps involved before handing out the letter of employment. Some VISAs like the Temporary Skilled Visa (subclass 457), require the company to be registered as Standard Business Sponsor. Also the organization needs to lodge a Nomination Application with the Department of Immigration and Border Protection and have it approved. You must know the working rights an employee is entitled to by his Visa. For instance, if an employee is on student visa then he/ she is allowed, when their course is in session, to work 40 hours a fortnight. A working holiday visa allows the employee to work up to six months for each employer, and to stay in Australia for up to one year. Refrain from practicing underpay and exploitation. Some employers exploit the 457 Visa scheme and underpay the immigrant employee in hope of obtaining cheap labor. Don’t do this as pay offered by sponsors are highly scrutinized and the Government has planned to set up a Migrant Workers’ Taskforce which will monitor and police the immigrant labor exploitation. Make the employment contract loophole free. Mention, underline, emphasize and make it very clear to the immigrant employee that their employment is dependent on the employee having and maintaining as valid visa which allows them to work in Australia. Make provisions in the contract making it the responsibility of the employee to inform and notify the organization if the working rights and conditions entitled by the Visa changes. In Australia, as a rule, any employee who are permanent and are not in casual or fixed term employment and who are not terminated for serious misconduct are entitled to a notice of termination. The same applies for overseas employees working on a visa. If you are to terminate the employment of an immigrant employee on the grounds of performance, misconduct or redundancies try to give them as much advance notice as possible. For an overseas worker who is working on a visa, once their employment is terminated, they will only have 90 days to find another employer to sponsor them, or face returning to their home country. These are a list of Do’s that you must practice when hiring workers on visas. 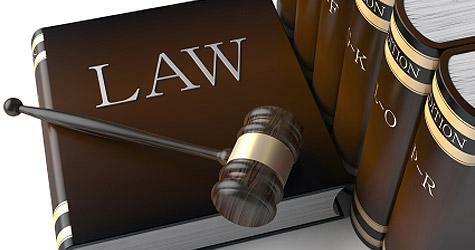 There are many immigration law firms who also assist in Commercial law in Melbourne. About the Author: Ben Dover is an proficient web content writer with interests in multiple fields.